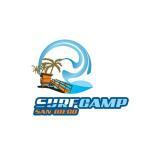 Welcome to the Mission Beach Surf Portal page on SurfShot! Here you will find maps, reports, tides, wind and swell information. Mission Beach surf photos, videos, news and everything about Mission Beach. Create your free account and start posting and sharing Mission Beach surfing content. It is as easy as posting to your Facebook wall. If you have a surf related business around Mission Beach and would like to have your business listed or you would like to post Mission Beach surf related content like surf news or surf events, contact us to learn more about how you can participate and help us make SurfShot the best source for Mission Beach surfing content. Join california's photo-video-sharing community and be the first to upload content to Mission Beach! 100 Wave Chalenge at Mission Beach!